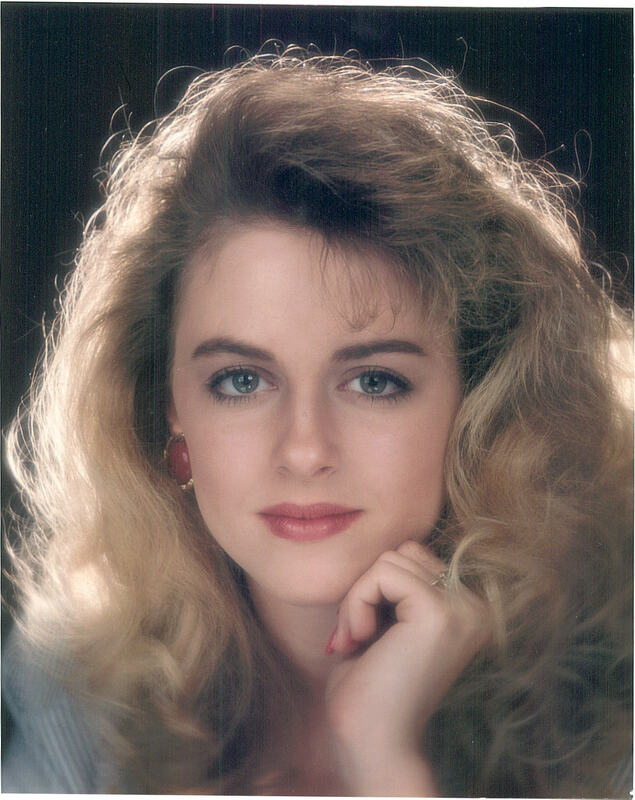 This is her Senior Picture from Central Gwinnett HS in 1994. This is an actual page from Jamie's Senior Scrapbook. 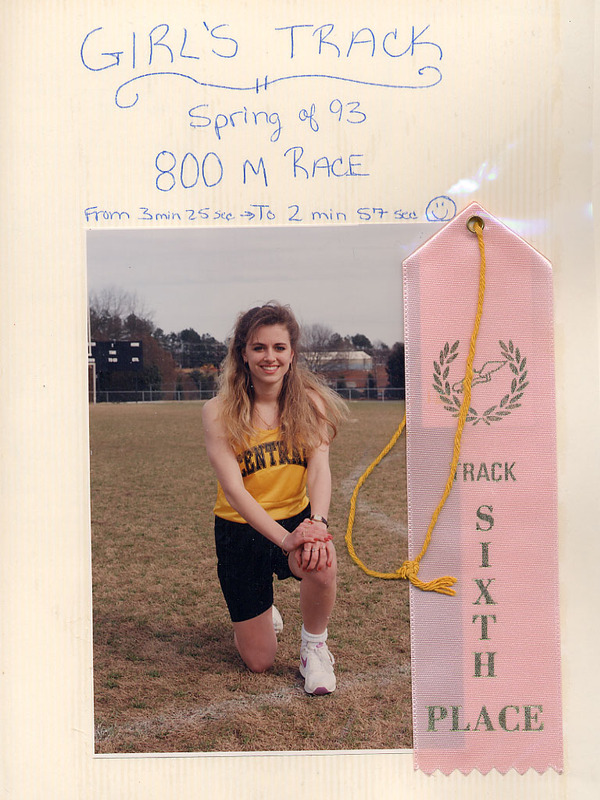 She was very proud of her accomplishments in Track. Here is Jamie and Melanie posing before Prom. Click here for her Prom story. 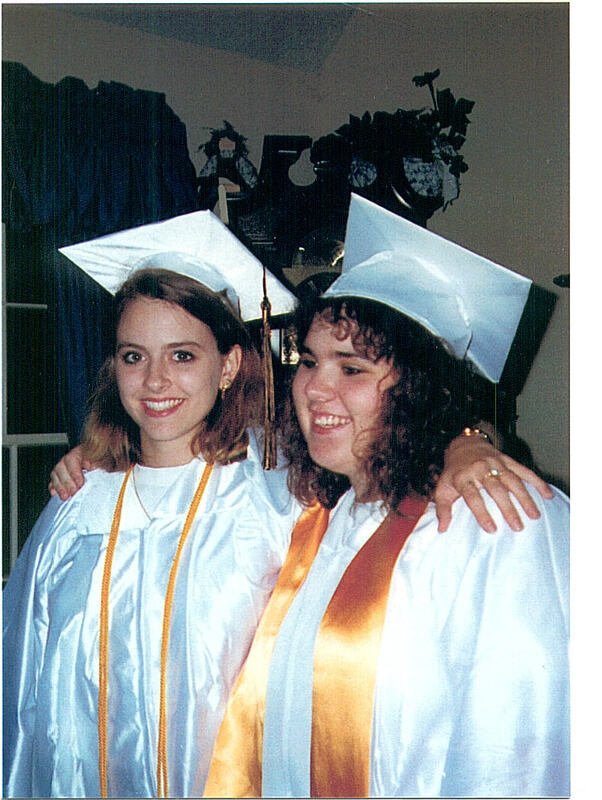 This is Jamie and her cousin Marcie after graduation at Mom's house. 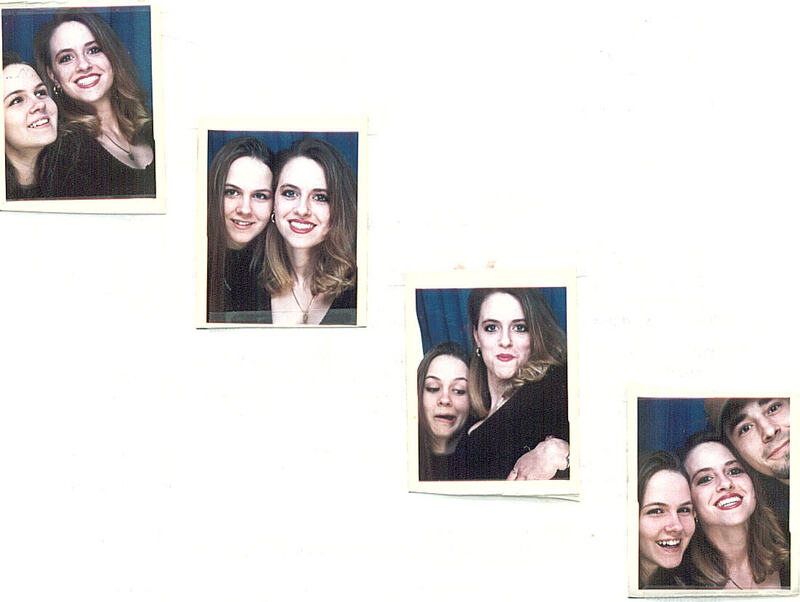 Jamie and I in a photo booth in Great Games, and arcade in Duluth, GA. The last photo includes one of our old friends, Billy Fisher.